We have moved to our new location! We look forward to cooking for you! 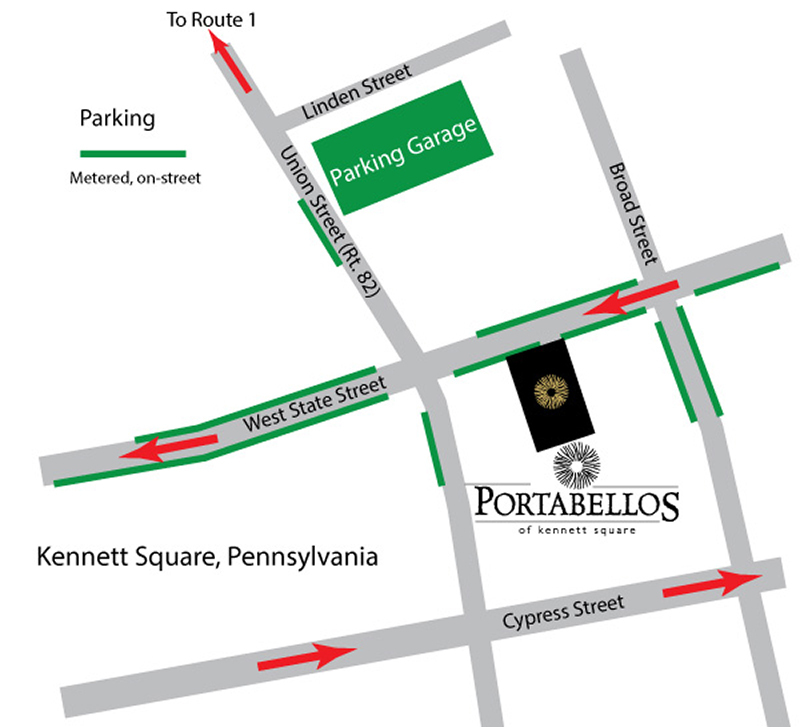 Portabello’s is now located at 108 East State Street, Kennett Square, Pennsylvania. State Street is one way southbound, and is the main street in Kennett Square. 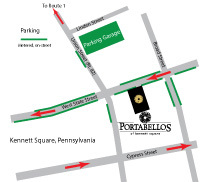 Parking is available on the street (metered) and in the parking garage on North Union Street (Route 82) just north of State Street (five minute walk). Parking is FREE in the garage after 5 p.m. and all weekend, and on the street after 5 p.m. and on Sunday. Our telephone number is 610.925.4984. Currently serving dinner and lunch Thursday through Saturday. We are closed Mondays.